Battle Ropes as a training tool were created by John Brookfield, if you haven’t heard of him, he’s the guy who recently pulled a 24,000lb truck for one mile without using any ropes. The guy is a fitness legend. Battle ropes are usually two separate ropes attached to the floor, or (more commonly) one large rope that is looped around a pole. You grab a handle in each hand and perform a variety of exercises. The ropes are surprisingly thick and heavy and the length can vary. This article will focus on some of the battle ropes benefits, and help you understand why the fitness industry has gone crazy over them within the last few years. There are three types of muscular contraction: concentric, eccentric, and isometric. Using a bicep curl as an example, the concentric contraction would be curling the dumbbell towards you this makes your bicep muscle smaller. The eccentric contraction would be lowering the weight back down again, making the bicep muscle stretch out. An isometric contraction would be holding the dumbbell at midway (so that your forearm was parallel with the ground) for as long as you could. When you perform a lot of battle rope exercises you are in a quarter or half-squat position, and you hold it for as long as the exercise needs you to. Usually this is between 30 seconds and a minute. This is an isometric contraction and it can create some excellent benefits. The main one being that isometric holds cause more muscle fibre recruitment – meaning that you will gain more strength and hypertrophy from it. This means that you will get stronger and better toned legs from the half-squat, without even mentioning the other movements. A great benefit to start off with! There are two forms of cardio, aerobic exercise and anaerobic exercise. To keep things simple we will identify anaerobic exercise as very short but intense exercise that you do without breathing properly. So for example a 100m sprint is almost purely anaerobic, as you are training at such a high intensity and for such a short period of time that you are not able to breathe. Aerobic exercise would be anything from a slow jog to running a marathon. A lot of people think that aerobic exercise is easier than anaerobic because it is less intense, but this is not necessarily the case. Aerobic exercise gives you time to breathe properly though so you can use oxygen during it. You can use battle ropes for both low intensity training and high intensity training, all you have to do is alter the time spent on the exercise and the intensity required. You can perform the single arm wave (a common battle rope exercise) at a slow and steady pace for 5 minutes to improve your aerobic performance – just like going for a jog. Alternatively you can perform double handed waves as fast as you can for 30 seconds at a very high intensity. This is similar to a 100m sprint and will improve your anaerobic performance. This means that whether your goal is to train for a marathon, or to improve your sprint time. Or to improve both so that you can perform sports that are both high intensity and low intensity (like boxing or football). Boxing, rowing, and Olympic weightlifting are all considered fantastic exercises as they all utilise both the upper and lower body. Compare that to running which is almost exclusively a lower-body exercise and you can understand why they get better results. Using your full body will result in more calories burned, more fat lost, and greater improvements in your fitness. As mentioned earlier you use your lower body to get into the half-squat required to perform the exercise. You then use your arms, chest, shoulders, and back to perform the rope exercises. This makes battle ropes an excellent choice for fat loss. You can use these ropes as part of a circuit (i.e. push ups, squat jumps, kettlebell swings, and battle ropes), or as a finisher after an intense weights workout. This is an incredible way to massively increase the amount of calories burned during a session, just complete your resistance exercises as normal (bench press, pull ups, shoulder press, barbell squats etc) and then at the end perform a 2 minute high intensity battle rope exercise. You can also superset a set of 30 seconds battle ropes with a strength exercise, it’s known as cardio acceleration. Let’s say you want to perform 3 sets of 10 reps of Barbell Bent Over Row. Usually you would perform a set of 10 reps and then rest for 45-90 seconds. Instead you would perform 30 seconds of battle ropes and then your second set of Bent Over Rows. 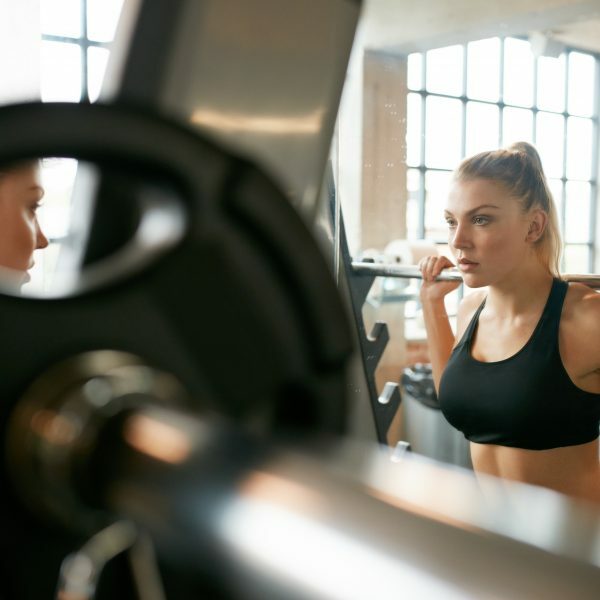 Obviously you would need to lower the weight of the barbell as you wouldn’t be getting any rest, but the calories burned would make this well worth your time. Using a set of battle ropes will upgrade your training program no matter what goals you have in mind, they are easy to set up (you just need a pole somewhere) and can fit into your program easily. They are amazing for group workouts such as bootcamps, circuit classes, or even just training with a workout partner. They are also great for people who train on their own. Add a set of kettlebells and some dumbbells and you have the makings of the perfect home gym too!